An angry festivalgoer is looking to launch a class-action lawsuit against Osheaga organizers after rapper Travis Scott was more than an hour late for his set. The class-action request was filed at the Montreal courthouse on Monday (August 6), the Montreal Gazette reports, arguing that all festivalgoers who bought tickets to Osheaga for August 3 — the day Scott performed — should be reimbursed by event organizer Evenko. 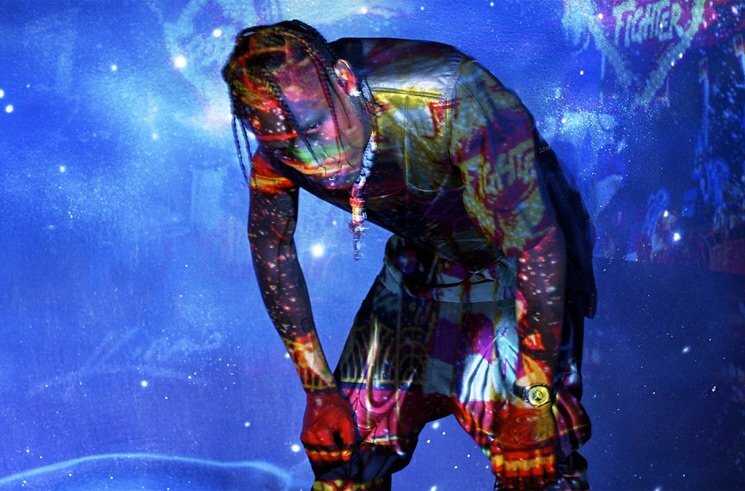 The request was filed by a Montreal law firm representing 18-year-old university student and Travis Scott fan Megan Le Stum. Scott was scheduled to headline the festival last Friday night from 9:45 p.m. to 10:55 p.m. local time, but before he ever could take the stage, the festival announced its socials that the rapper had been delayed at the border. As could be expected, fans were far from pleased, with many voicing their anger and frustration online and demanding refunds. According to the class-action request, the Osheaga crowd grew impatient and aggressive, with Le Strum saying she eventually gave up and left at 10:30 p.m. According to various other social media posts, other festival attendees did the same. Scott eventually did arrive for his performance just after 11 p.m and gave a truncated 40-minute set to the remaining audience. “The crowd was euphoric to see the rapper for the last show of the day, however the spectacle didn’t start on time,” the class action request reads. The request argues that Evenko had a responsibility to respect the schedule of the event, the Montreal Gazette reports. At this point, the class-action lawsuit still needs to be approved by a Quebec Superior Court judge, and if it is approved, it will likely take years to work its way through the courts. As of press time, Evenko has issued no public statement about the proposed class-action lawsuit.